Canada's newest minister responsible for the North says he is coming into the role with an "open mind and an attentive ear." 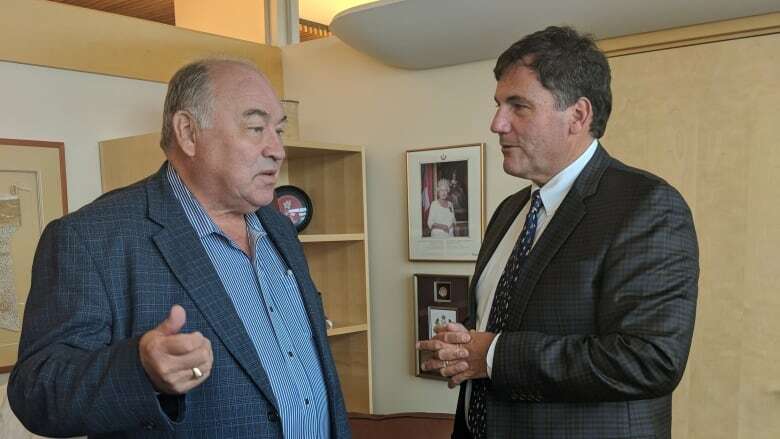 Dominic LeBlanc was on a visit to the three territories on Sunday and Monday in his new capacity as minister of Intergovernmental Affairs, Northern Affairs and Internal Trade. The former fisheries minister took on the role after Prime Minister Justin Trudeau shuffled his cabinet in July. "The prime minister really wants me to work closely with the three territorial governments on a number of significant economic development opportunities they've identified on how some federal programs can perhaps be adjusted to suit the particular needs of the territories," he said. "It's a quick trip, but it's something I've been looking forward to doing." The premiers of Yukon, Nunavut and the Northwest Territories are the first premiers LeBlanc is meeting formally in his new role. The minister expressed hope he would come away from his meeting with the three northern premiers with a "to do list" of their top priorities. He knows infrastructure and housing are among their concerns, he said. N.W.T. Premier Bob McLeod and N.W.T. MP Michael McLeod have also spoken to the minister about the potential they see in oil and gas development, LeBlanc said. "So, I'm, again, going to take very specific suggestions from the territorial government about how they think this might operate," LeBlanc said. The federal government wants to work on economic development in the North, LeBlanc said, but he added environmental assessments and scientific advice would have to inform any government decisions. As for whether he'll be able to keep the North a priority while managing three ministerial portfolios, LeBlanc says he isn't concerned. "I'm very excited about this," he said. "I'm not worried about juggling all the different responsibilities. I'm going to be very focused on the North and I'm excited about it."